As TouchArcade points out, all three games in the Marathon series recently got updates. That includes the original Marathon, Marathon 2: Durandal and Marathon Infinity. The games originally came out between 1994 and 1996. I’ve written about the Marathon franchise as part of my “Today in Apple history” daily series. By the mid-1990s, the PC had more or less taken over from Apple’s computers as the best non-console way to play games. Marathon was a more cerebral experience than Doom. It had, for its time, a genuinely engaging science fiction storyline that wasn’t just “kill everything in your sight.” Alongside action, it boasted a whole lot of brain-teasing puzzles to solve. Completing levels meant solving objectives rather than just reaching an end point. 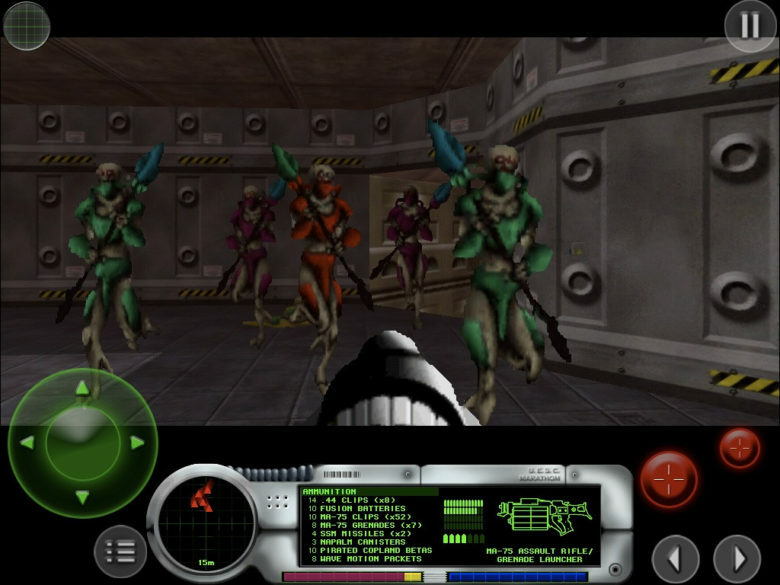 The games also introduced FPS features which are now considered standard. These included dual-wielding weapons, secondary fire, and more. If you’re a new gamer, I’d recommend the Marathon titles as a look back at FPS history — and an experience which stands up a lot better than some of its contemporaries. If you were a Mac owner in the 1990s, this is a great chance to revisit some classics. The updates mainly focus on optimizing the games for the latest iPads and iOS 12. However, there are a few gameplay tweaks thrown in as well, such as disabling double-tap actions. You can download Marathon, Marathon 2: Durandal and Marathon Infinity from the App Store. They’re free to download, but there are in-app purchases on offer.